We all know what a great job the emergency services in the UK do every day. Saving thousands of lives a year, and keeping us all safe and secure. However, from time to time the emergency services themselves are involved in accidents with the public. Making an emergency services vehicle accident claim is a complicated affair, as the bureaucracy involved in making a claim is significant. We have put this short guide together to help people cut through the red-tape when making an emergency services compensation claim. A guide to claiming compensation for injuries caused by emergency service vehicle accidents. Claiming against the emergency services overview. Claiming for an injury sustained in a road traffic accident with an emergency vehicle. Claiming for an injury as a pedestrian hit by an emergency services vehicle. Claiming for An Injury Caused by an Accident Whilst Driving an Emergency Services Vehicle. Emergency services vehicle accident facts and statistics. Who can claim for an injury caused by an accident with an emergency services vehicle? What to do if you have suffered an injury in an accident with an emergency services vehicle? What can be claimed for an injury sustained in an accident with an emergency. services vehicle? No win no fee emergency services vehicle accident claims. How much can I claim for an injury sustained in an accident with an emergency services vehicle. How to start an emergency services vehicle accident claim. Why choose us as your claims service for an emergency services vehicle accident claim. If you are unfortunate enough to be involved in an accident with an emergency services vehicle such as a police car, ambulance or fire engine, you are likely eligible to claim compensation for any injuries or damage to property you have incurred. The process of making a claim against one of the emergency services is complex. We have produced this short guide, which details many of the aspects of making a claim if you have been involved in an accident with an emergency services vehicle. This guide covers claiming for an accident with an emergency services vehicle as both a member of the public and as a person working for the police force, ambulance service or fire brigade. We cover specific details such as who can claim compensation, and what they can claim for. We have also attempted to give a rough estimate of the amount of compensation a person might be awarded following a successful compensation claim due to an accident with an emergency services vehicle. Towards the end of this guide, we explain what to do if you are ready to make a claim against the emergency services, and what your next steps should be. We also outline our No Win No Fee emergency services vehicle accident claims service, which most of our clients will be offered once we understand the specifics of their case. Each of the primary emergency services in the UK has a different process for considering compensation claims against them. For example, the accident with police car procedure is different to the process a person needs to follow if they have been involved in an accident with an ambulance. The UK Police Force operates a centralised approach to dealing with complaints and claims. You can contact the UK police on one of their special phone numbers for more advice on how to begin the claims process. The Fire Brigade operates a localised approach to dealing with complaints and claims. You will need to contact your local Fire Brigade Service for more information on how to begin the claims process. Claiming for an accident with an ambulance is a little more complicated. This is due to the fact that although the NHS operates most of the ambulances in the UK, there are also many privately operated ambulances belonging to health care companies. Therefore, you will need to discern whether you have been involved in an accident with an NHS or private ambulance before making a claim. 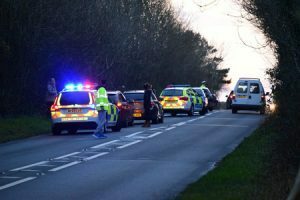 According to road traffic accidents involving emergency vehicles case law, the emergency services vehicle is treated in the same way as any other vehicle. If you are asking a question such as; what to do if an ambulance hits your car? It is important to understand that despite the fact that the claims process is more complex, your actual rights are exactly the same as they are if you are involved in a road traffic accident with a member of the public. Of course, there may be extenuating circumstances that affect the compensation claim against the emergency service that would not occur in an accident with a normal road user. However, drivers of police cars, ambulances and fire trucks are all required to drive safely and responsibly following the same road traffic rules and laws as everyone else. At certain times, such as when an ambulance is rushing to an accident site, certain rules of the road can be ignored. Despite this, the driver is still expected to drive without causing a risk of accident to other road users. This does, of course, complicate things somewhat. You will need the assistance of a claims service to have the best chance of claiming compensation from one of the emergency services in this situation. Due to the fact that emergency services vehicles often operate in locations that are usually reserved for pedestrian use only, there is a high risk of a pedestrian being injured in an accident with a fire truck, ambulance or police car. If you are using a public footpath or thoroughfare and you are hit by police car compensation for any injury you sustain will be claimable. Despite the fact that emergency service vehicles are allowed to drive across pavements, public parks, private land, and any other location that normal road users are restricted from using, the driver is expected to act with due care and attention at all times, to minimise the damage to private property, and keep the risk of accidents as low as possible. If you are unlucky enough to be injured by an emergency services vehicle as a pedestrian, we can help you claim the most compensation for your injury possible. Use the contact details at the bottom of the page to get in touch with us, so we can go over the details of your specific case and make a recommendation on how you should proceed. Each of the emergency services in the UK is regulated first by general Health & Safety laws, and also by unique Health & Safety regulations that apply specifically to the emergency service. For example, the Fire Brigade has its own comprehensive set of Health & Safety rules, as well as being guided by general HSE regulations on fire safety. Despite being Government run services, the Police Force, Fire Brigade and Ambulance Service are all required to maintain Health & Safety standards in the working environment that are the same, if not more comprehensive, than a commercial company. Therefore, if the driver or passenger of an emergency services vehicle is involved in an accident that was caused by either a) inadequate adherence to Health & Safety directives or b) due to a lack of training in how to carry out their job within Health & Safety guidelines, then a valid reason to claim compensation against the emergency service will exist. Where a compensation claim as an employee of an emergency service differs from making a claim as an employee of a privately-owned company, is in the fact that in some job roles, the employee may have been required to sign some kind of waiver, indemnifying the emergency service from compensation claims for specific types of accidents or injuries. As an employee of one of the emergency services who has suffered an injury in an accident whilst driving or riding in an emergency services vehicle, we recommend you contact us for the best advice on how to proceed with your compensation claim. Despite the high number of emergency calls the UK emergency services deal with each year, the number of occurrences of accidents involving emergency services vehicles is quite low. This is a testimony to how well our emergency services are trained, and how seriously emergency service workers take public safety. Below are some typical statistics regarding accidents involving emergency services vehicles. According to 2014/15 police car accident statistics, there were only 13 road traffic accidents involving police vehicles that resulted in a fatality within the 12-month period. The majority of these accidents happened as a result of a high-speed pursuit of a suspect’s vehicle. In 2014/15 the UK Ambulance Service dealt with almost 8.5 million emergency calls. Almost 25,000 every day. Yet despite this, the average number of daily accidents that occur involving an ambulance is just 4. Taking these kinds of statistics at face value, we can see that accidents involving vehicles operated by the UK emergency services are surprisingly rare. Deciding who can claim for an injury sustained in accidents caused by emergency vehicles is driven by the severity of the injury, and whether the actual victim of the injury is able to make their own claim. 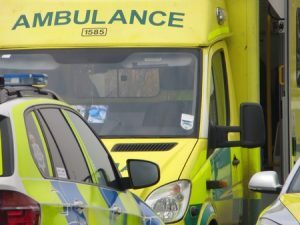 For non-fatal injuries caused by an accident involving an emergency services vehicle – most normally the victim of the accident will be the legal entity to make a compensation claim unless the injury has left them unable to do so themselves. For serious or fatal injuries caused by an accident involving an emergency services vehicle – if the victim of the accident has either died, or is physically unable to pursue their own compensation claim, then the following legal entities will be able to make a compensation claim: the dependants of the victim, immediate family members of the victim, and the estate of the victim. Please contact us to discuss your specific case, so that we can assist you in discerning just who may claim compensation for an accident involving an emergency services vehicle. If you have sustained an injury as a result of an accident involving an emergency services vehicle, either as a member of the public or as an emergency services worker, then preparation is the key to making a successful compensation claim. If you are involved in a road traffic accident with an emergency services vehicle, then be sure to get all of the details of the drivers and the vehicles involved in the accident. If you can, take pictures of each vehicle and its license number, and the driver’s license of each driver. Collect contact details for any witnesses to the road traffic accident. You may need to call upon these witnesses to give testimony if your compensation claim goes to court. Have your injuries treated, and make sure that all treatment is fully documented. If you can, ask the doctor treating you for his opinion on how long the injury will take to heal, and what any long-term effects of the injury might be. Again, this testimony can be used if your claim goes to court. List all of the financial losses than have been caused by the accident. Not only ad hoc expenses such as medical costs and travel costs, but also any loss of income due to missing work. If you have had to cancel a prepaid event such as a holiday, list these costs as well. Once you have completed these tasks, please contact us using the contact information at the bottom of this guide. Will take all of the information, and use it to advise you on what you should do next. What can be claimed for an Injury Sustained in an Accident with an Emergency Services Vehicle? The types of damages that will form the overall compensation paid for an injury caused by an accident involving an emergency services vehicle, will depend upon the severity of the injury itself. For non-fatal injuries involving an emergency services vehicle – two main categories of damages will be claimable. Firstly, general damages, which covers all of the physical and psychological effects of the injury. Secondly, special damages, which covers all of the financial losses attached to the injury, both out of pocket expenses and loss of earnings. For serious or fatal injuries involving an emergency services vehicle – both the general damages and special damages categories apply as above. Additionally, end of life expenses such as funeral costs can be claimed. It may also be possible to claim for the ongoing care of dependants. Additional damages that may apply to an injury sustained in an accident with an emergency services vehicle – in some cases, it may be possible to claim for the cost of either in the home or residential care if the victim needs to recuperate from their injury. It may also be possible to claim for the cost of medical procedures that are not available on the NHS. In order to discern just what types of damages you may be able to claim as a result of an injury caused by an accident with an emergency services vehicle, the please contact us so we can discuss your specific case with you. Claiming compensation for an accident with an emergency services vehicle that has resulted in an injury, is a complex process. For example, accidents involving police vehicles that have resulted in an injury to the member of the public can take several months to claim compensation for. This requires a significant level of legal representation. Many people cannot afford to pay the ongoing legal costs for such a long compensation case. We have a solution to this problem. For most of our clients, once we have checked out the specific facts of their claim, we will offer to take on the case on a No Win No Fee basis. What this means, is that there is nothing to pay up front to begin your compensation claim. And unless we actually win your case for you, then you won’t need to pay us anything. We only charge a fee if we successfully claim compensation on your behalf. Toe Injury Moderate to Amputation Up to £42,600 Minor injuries such as cuts and bruises to amputation of one or more toes. Foot Injury Minor to Amputation Up to £153,200 Minor injuries such as cuts and bruises to amputation of both feet. Leg Injury Moderate to Amputation Up to £214,350 Minor injuries such as cuts and bruises to amputation of both legs. Finger Injury Minor to Amputation Up to £27,925 Minor injuries such as cuts and bruises to amputation of one or more fingers. Could be more in some cases. Thumb Injury Minor to Amputation Up to £41,675 Minor injuries such as cuts and bruises to amputation of one or both thumbs. Could be more in some cases. Hand Injury Minor to Amputation Up to £64,275 Minor injuries such as cuts and bruises to amputation of one or both hands. Arm Injury Minor to Amputation Up to £228,000 Minor injuries such as cuts and bruises to amputation of one or both arms. Head/Brain Injury Minor to Very Severe £1,675 to £307,000 From minor loss of cognitive ability through to total loss of life quality. We would need to evaluate the specific circumstances of your case to give a more accurate estimate of how much compensation you might receive. Please contact us so we can assist you further. The process of starting a compensation claim for an injury caused by an emergency services vehicle is very straightforward. You simply need to contact us, and well will go over the details of your claim with you in a free consultancy session. If needed, we can arrange for you to undertake a local medical examination as well. Once we have all the facts, we will recommend a course of action, and in most cases, offer to take on your claim under a No Win No Fee agreement. Successfully pursuing a compensation claim against the Police Force, Ambulance Service or Fire Brigade requires specialised legal expertise. We have plenty of experience in claiming the maximum amount of compensation for injuries sustained in an accident with an emergency services vehicle. You owe it to yourself to acquire the best legal representation you can, to make sure you have the best chance or successfully pursuing your compensation claim. This is where we come in, and in most cases, we are willing to help you on a No Win No Fee basis. If you have sustained an injury after being involved in an accident with a police car, ambulance or fire engine, then we can help you make a compensation claim. You can call us on 0800 073 8804, or if you prefer you can use the real-time live web chat function of this website. If you don’t have time to discuss your claim right now, use the contact form on this site and we will get back to you and arrange a time to go over your case with you that fits your schedule. Have you had a recent car accident either if you was the driver or passenger find out how much compensation you can claim contact us today for free advice. Cycling Accident Claims Find out if you can claim compensation. If you are a cyclist who has been knocked of your bike due to a emergency vehicle or police car or ambulance and as a result you are injured call us today for free legal advice. Motorcycle Accident Claims Find out if you can make a claim? If you have been injured due to a motorcycle accident start a No Win No Fee claim today. Find out how to make a complaint against the police if you are wanting to complain over a police officer driving dangerously.